I Hate Being Single . I Hate Being Single is a funny webseries that puts an unconventional comedic spin on story we've all heard many times before. Rob, recently dumped, blunders through single life trying to figure out where he belongs in a manner that is charmingly clueless and entertaining. Rob says "A while ago when I first moved to Brooklyn it was one of the times in my life where things were just weird. I had left my closest friends in college and was living in a new big city. I’d just been broken up with and all of the sudden felt really out of place. It sounds so sad but I knew there was something funny about it that I wanted to eventually write about. 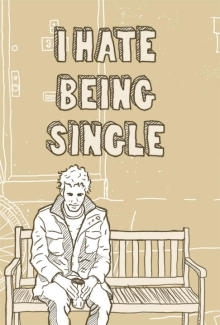 Years later after countless improv classes at Upright Citizens Brigade, and performing comedy around NYC, doing freelance tv production jobs, and working for a year with the web series power duo Broad City as a director, editor, and co-writer, I decided to start a project of my own called I Hate Being Single. I Hate Being Single is an amalgamation of all my favorite things. My favorite TV shows like Seinfeld, Freaks and Geeks, The British Office, and sitcoms from the 80’s and 90’s and a lot of stuff from my childhood like Pee Wee Herman, and The Muppets. This show was put together with the help of a lot of talented friends. I’m really grateful for their help and for anyone’s support since we started. I’m working on a getting a new season made as soon as possible so please follow our various social media buttons for updates!